At Brittany’s Beauty Bar in Yorktown, professional stylists (a.k.a. the Glam Squad) take pride in making their clients beautiful on the outside, whether through a creative variety of haircare or relaxing spa services. 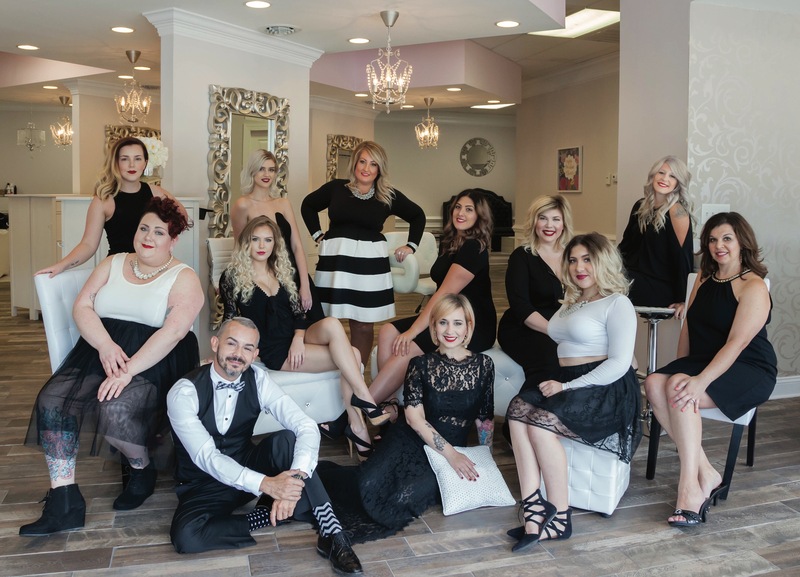 What really sets the salon apart, though, is the team’s inside beauty, led by the philanthropic mindset of owner Brittany Harris. The leading organization that Brittany’s Beauty Bar works hand-in-hand with is the Cystic Fibrosis Foundation, to which they’ve donated more than $10,000 over the years. Harris serves on the board of the Cystic Fibrosis Foundation of Young Professionals and explains that the cause is near and dear to her heart, as her 1-year-old nephew was diagnosed with the disease prenatally. Upon learning of her nephew’s diagnosis, Harris began researching ways to get involved and raise awareness for the CF Foundation. 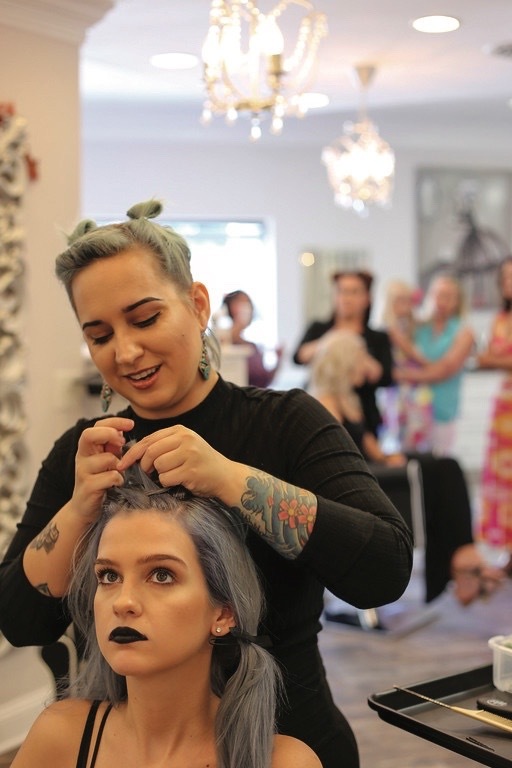 She discovered that Tabb High School, where she’d graduated from, holds an annual fashion show to raise money for the CF Foundation, so she offered for her salon to do hair and makeup for the fashion show, free of charge. “It all kind of started from there,” she says. Since then, the beauty bar has contributed in numerous ways, from donating beauty products or gift certificates for smaller, local fundraisers to sponsoring local fundraising events, like the annual Brewer’s Ball. This year’s speakeasy-inspired event was held in November at Hampton’s Historic Post Office and raised over $30,000 for CF Foundation. 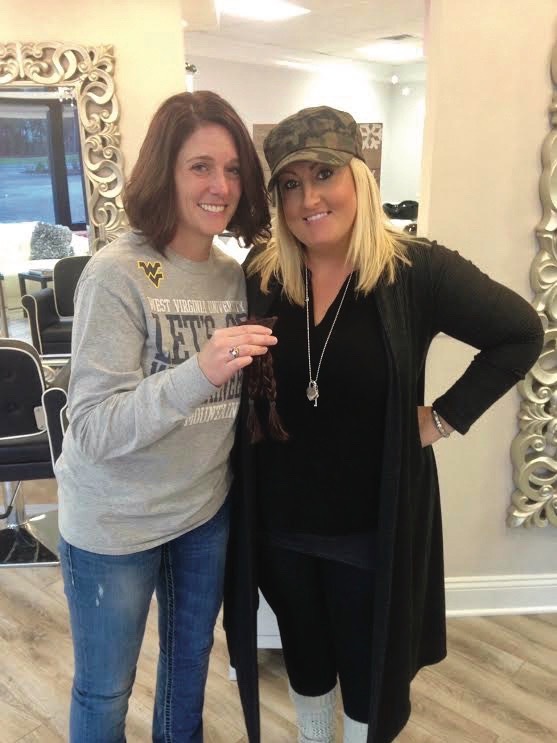 Brittany’s Beauty Bar also holds creative fundraising initiatives, like Lashes for a Cause, in which salon clients purchased raffle tickets for a chance to win a full set of eyelash extensions, raising $970 for CF Foundation in the process. The staff enjoys getting involved too, such as when Harris closed the salon down for the day so that everyone could participate in a Great Strides Walk for CF Foundation. To our company, community impact looks like an ant farm full of tiny ants who all play a role in building such a massive foundation. Without supporting each other within our community we are nothing, so instead we chose to join in with others to make a difference and leave a bit of sparkle wherever we go!